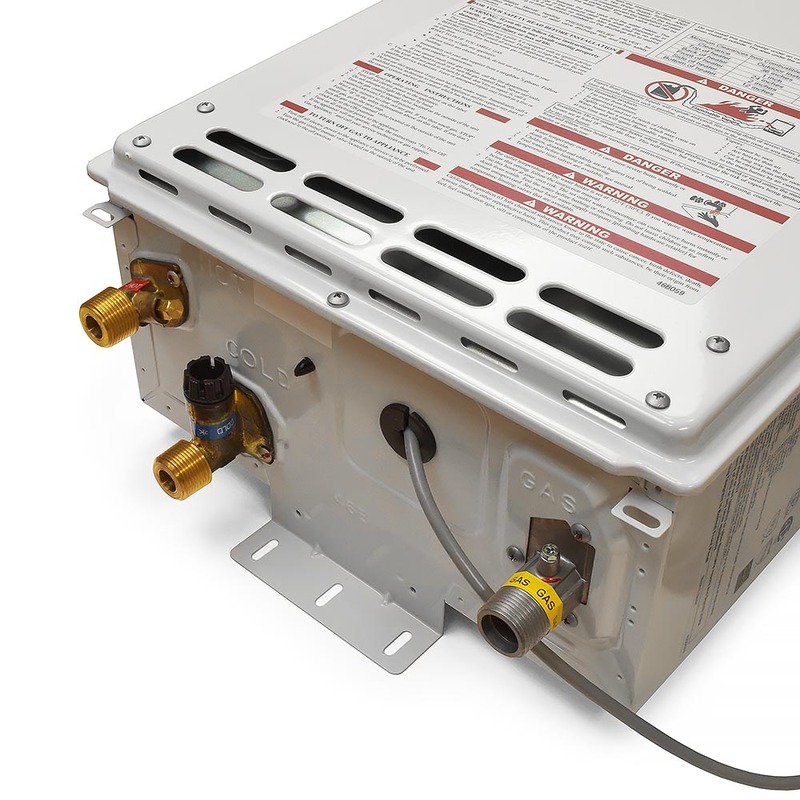 The T-KJR2-IN-LP from Takagi is a Indoor Tankless Water Heater, Propane, 140K BTU. 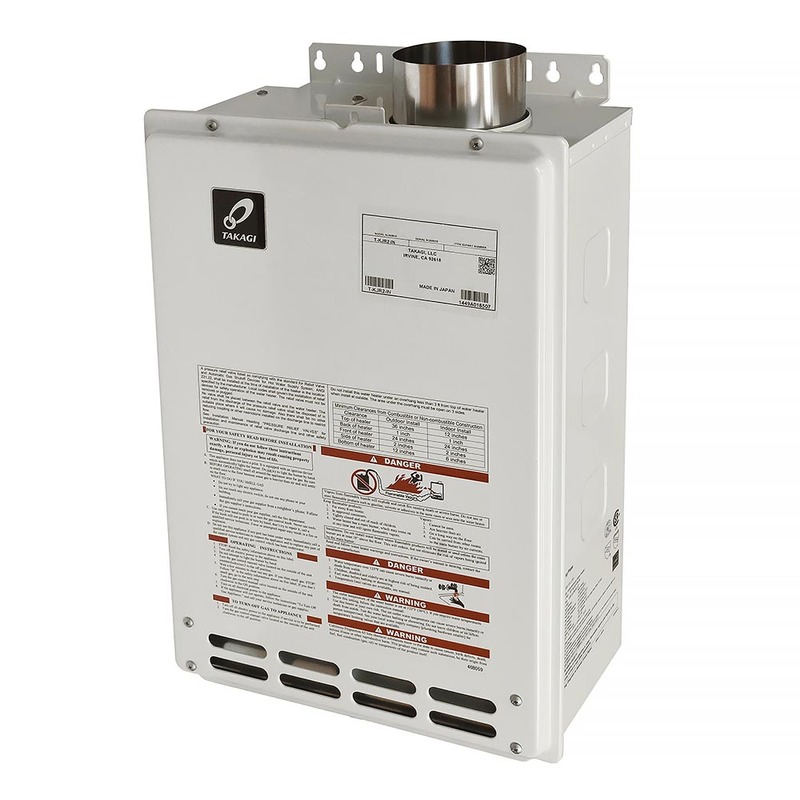 It's the smallest water heater in the Takagi tankless line with gas inputs up to 140,000 BTU per hour and an energy factor of 0.81-0.83. 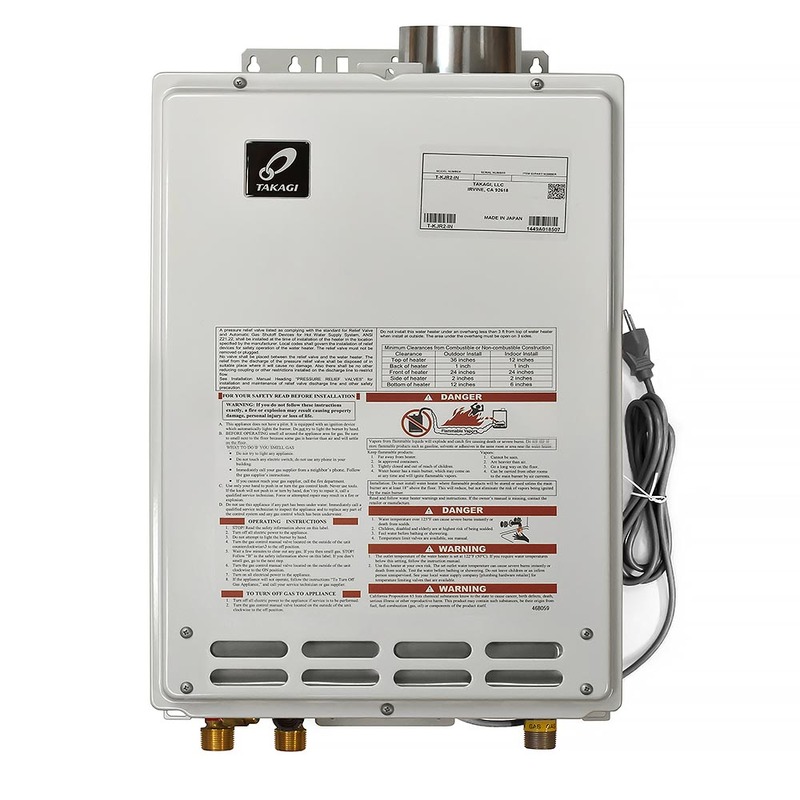 This cost-efficient and environmentally friendly Takagi Tankless Water Heater can support hydronic baseboard or radiant floor heating applications, as well as provide domestic hot water to plumbing fixtures and appliances. Takagi T-KJr2-IN-LP can meet all the hot-water needs of a small American home or apartment with one or two bathrooms. At an average (rise in temperature) of 60F in warmer areas Takagi T-KJr2-IN-LP Tankless Water Heater will provide 228 GPH (3.8 GPM) and enough hot water for one shower and a lavatory basin at a time; or one low-flow shower (2.5 GPM or less) and an appliance, such as a dishwasher or washing machine, at the same time. 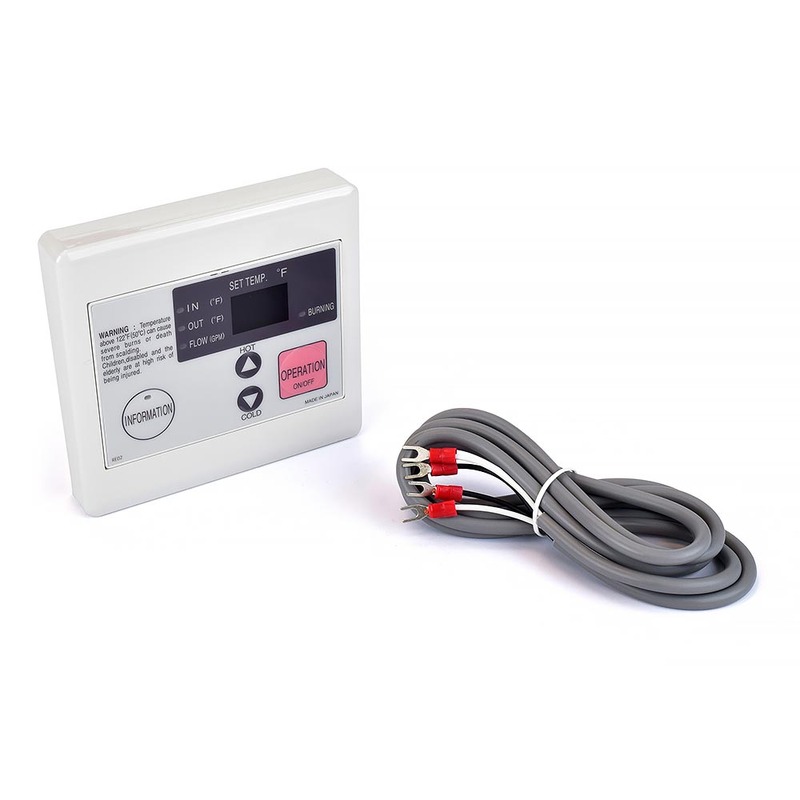 In colder areas where the input temperature may be 40F or less you can expect a flow rate of about 174 GPH (2.9 GPM) and running only one major fixture at a time. Please refer to the flow charts for specific rates. 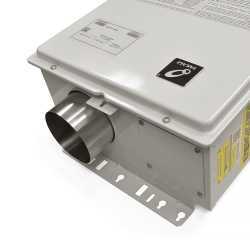 The All new Takagi T-KJr2-IN-LP has a max GPM of 6.8GPM. 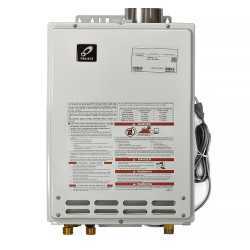 Takagi Tankless Water Heater T-KJr2-IN has four preset temperatures: 113F, 122F, 131F, 140F. To convert the water heater from a standard vent system to a direct‐vent (or sealed combustion) system, use a TK-TV10 Direct‐Vent Conversion Kit. 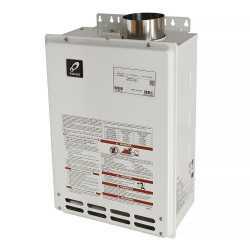 By default, the unit will use the intake air from the room where it is installed.